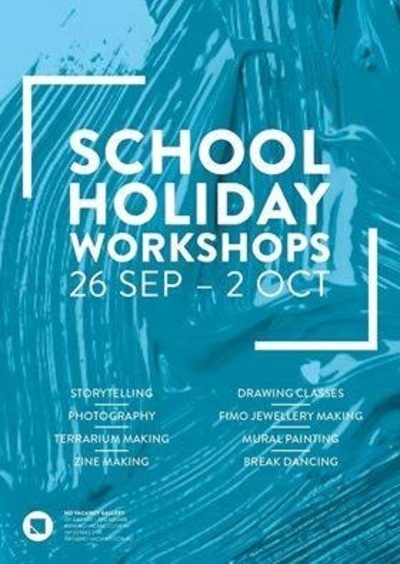 Melbourne's No Vacancy Gallery will transform into a site for creativity, fun and learning in the Spring school holidays, with a huge calendar of workshops with Melbourne's best creatives. No Vacancy Gallery is a Melbourne-based contemporary hire-gallery that provides a link between artist run initiatives. You can find No Vacancy Gallery within the QV Building. What's on at Melbourne's No Vacancy Gallery? Pack your imagination and come aboard a storytelling adventure. Join author and illustrator Charlotte Lance to develop your own storyboard and illustrate it. Bring your drawing projects and join like-minded people in an atmosphere of experimentation, potential collaboration and play. Under Ms Candy Sparkles’ super-knowledgeable guidance learn tried true tricks of the terrarium trade. Each squiddlywink will create a cute succulent (open) terrarium finessed with playful pebbles, and fun figurines. Learn how to create beautiful hand lettering with simple brush pens.